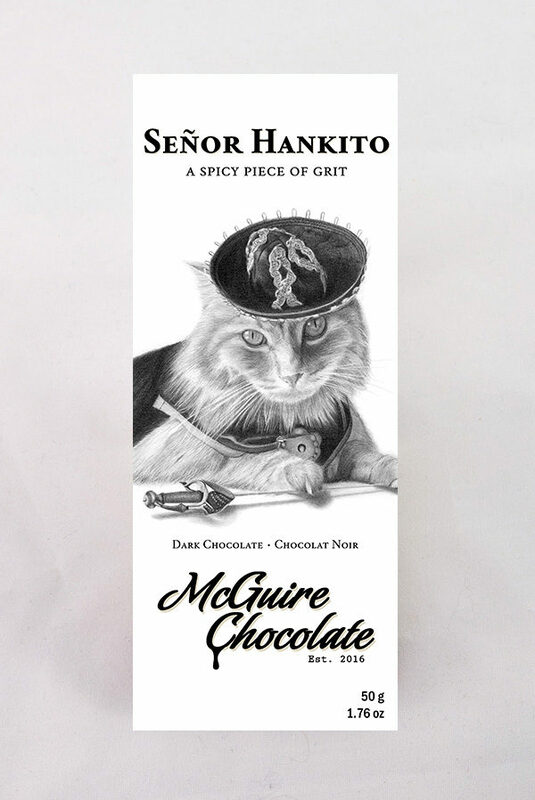 Señor Hankito is a cat who knows what he wants. He likes things hot. This is a single origin bar with beans from Adioesmac in Guatemala and chili Cohban from Guatemala. The image of Señor Hankito was captured in pencil by Calgary artist Jim Little of Draw Borderless.